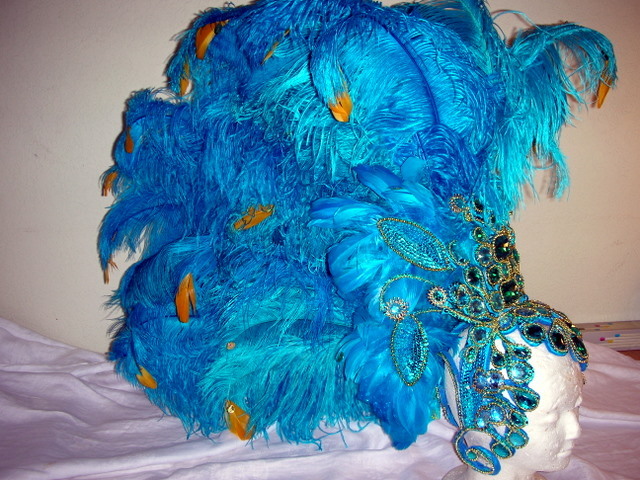 This beautiful Blue and Turquoise has a dash of hot pink and along with its size, it is certain to impress! 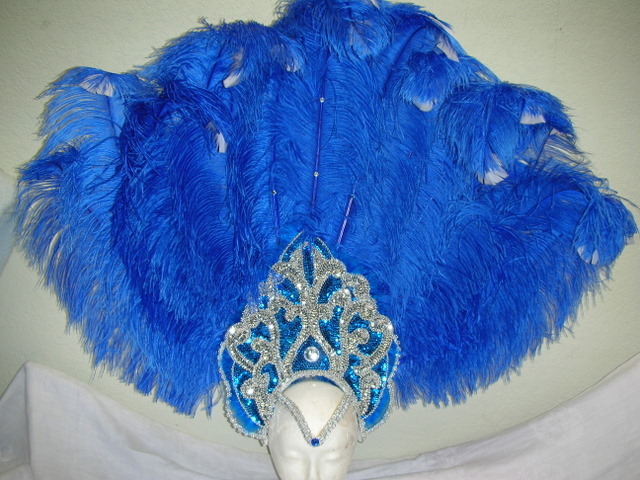 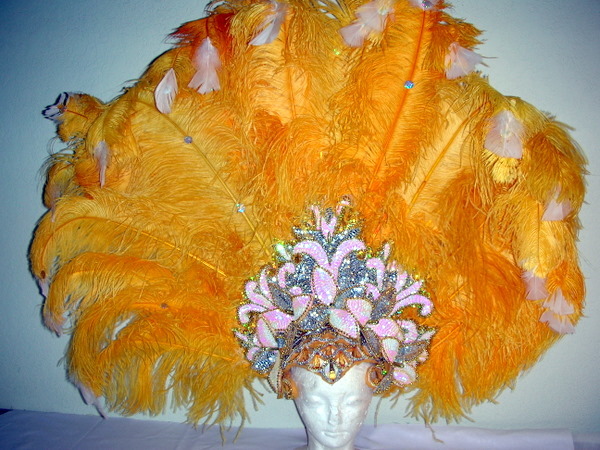 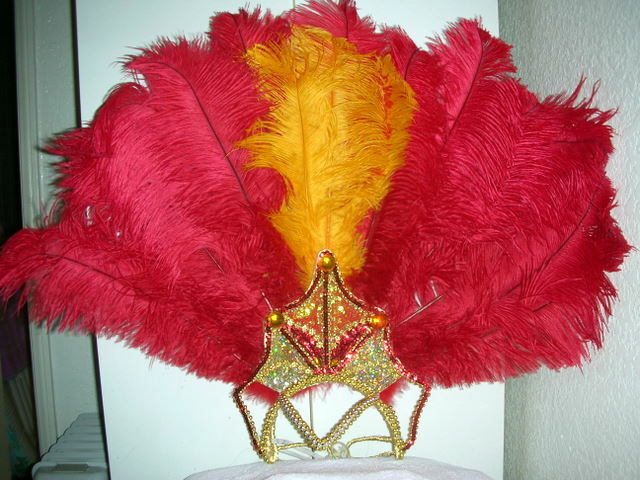 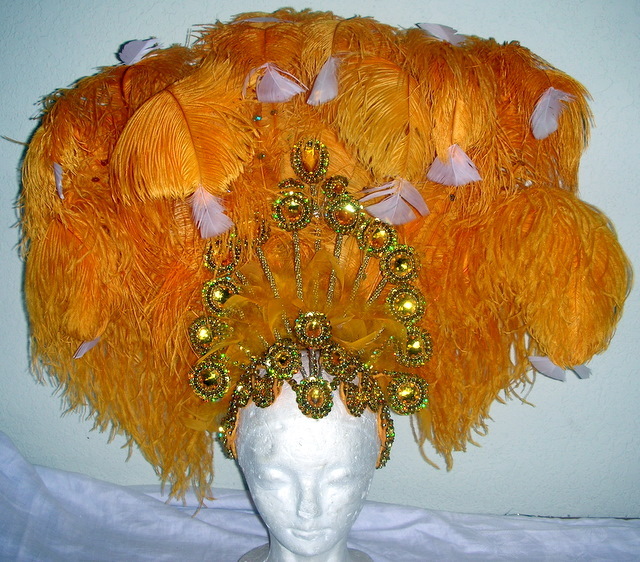 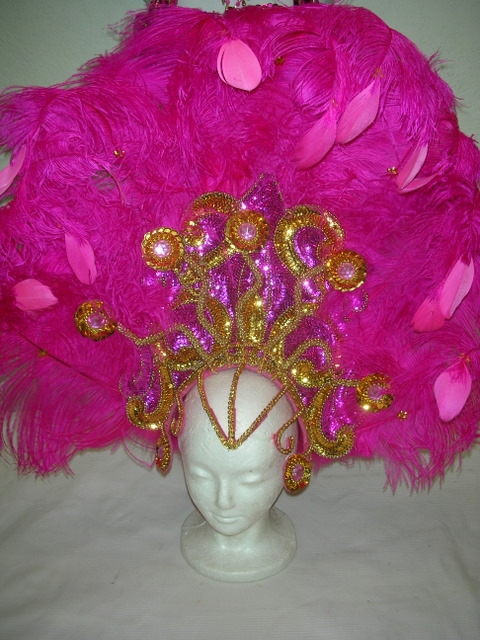 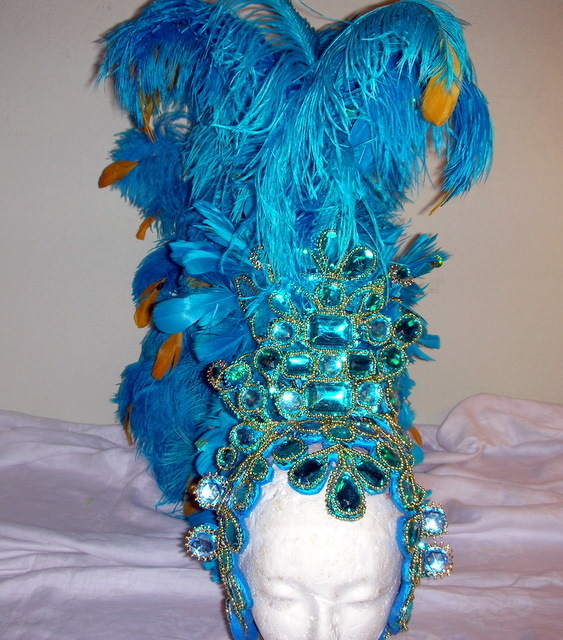 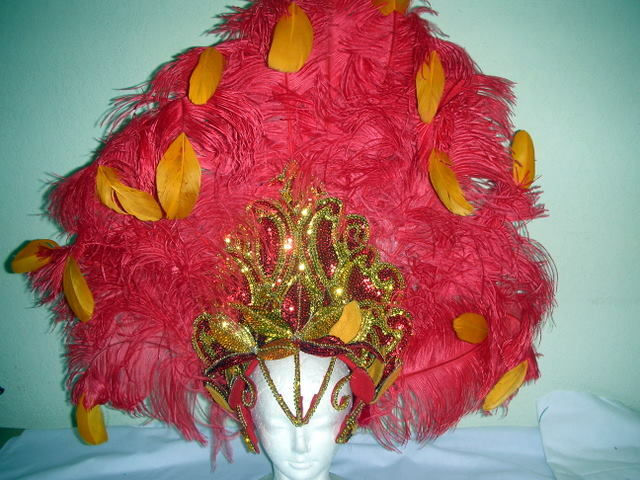 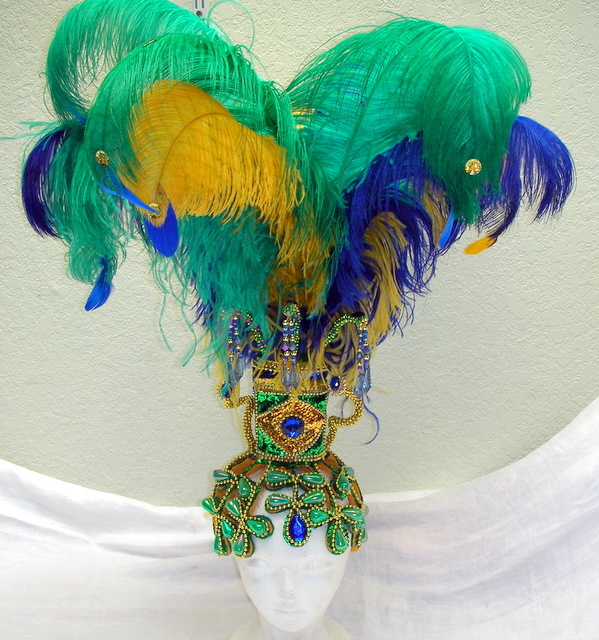 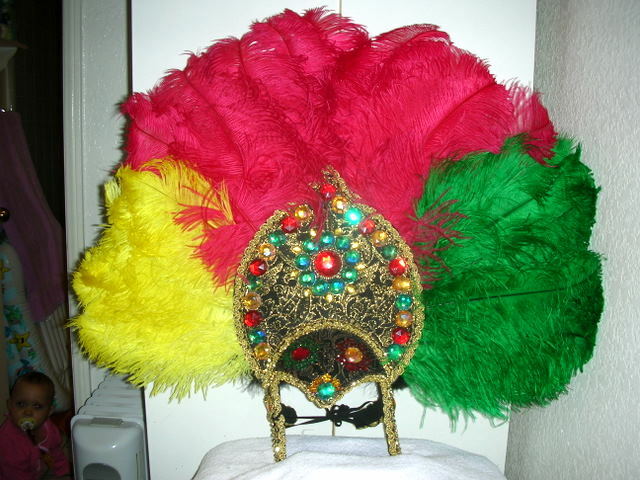 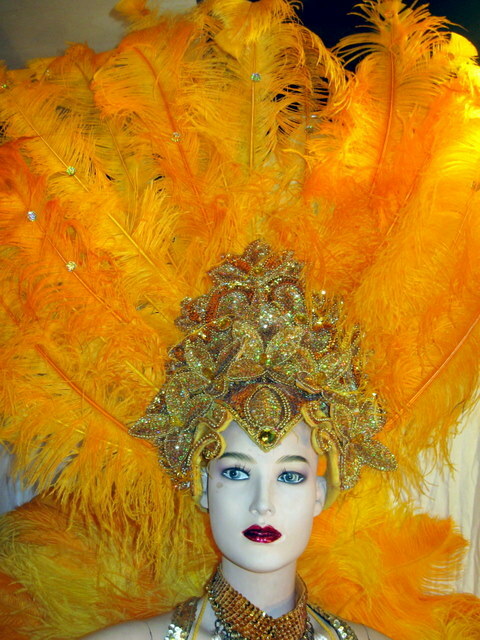 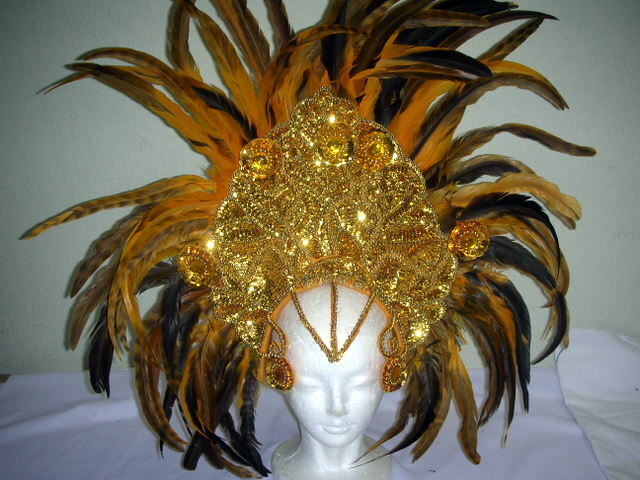 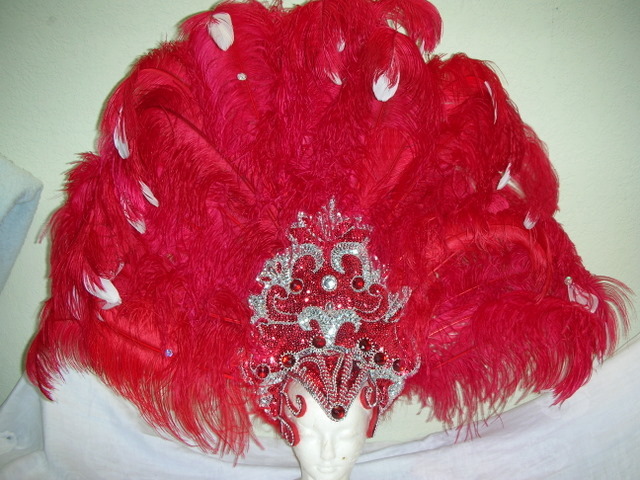 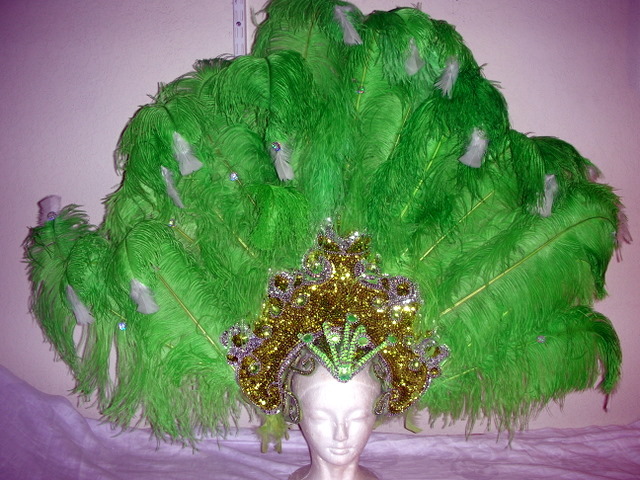 This pure white headpiece is an elegant addition to any samba dancer's wardrobe. 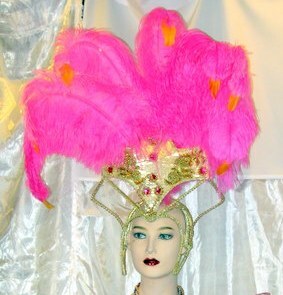 This white headpiece is a glamorous version of a Doris original Mohawk design. 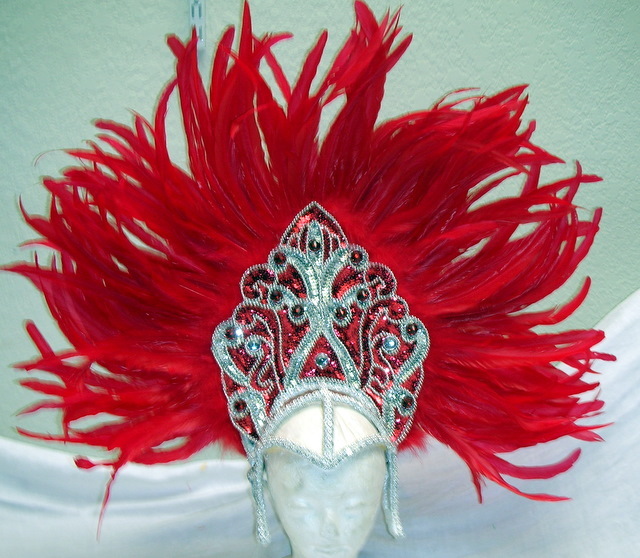 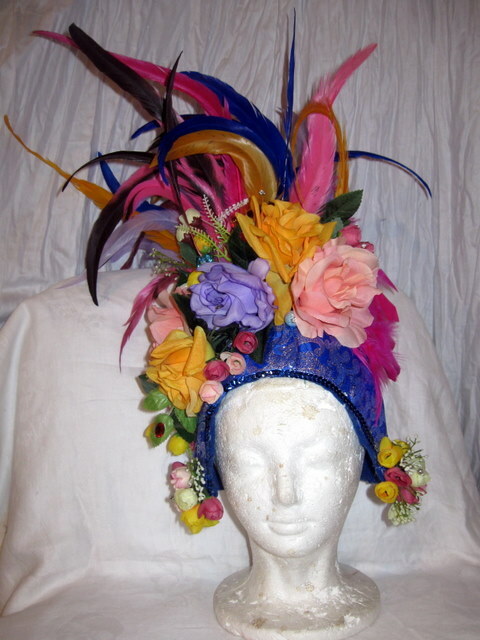 This headpiece can be confured differently in either a fan or a mohawk giving two types of headpieces for the price of one! 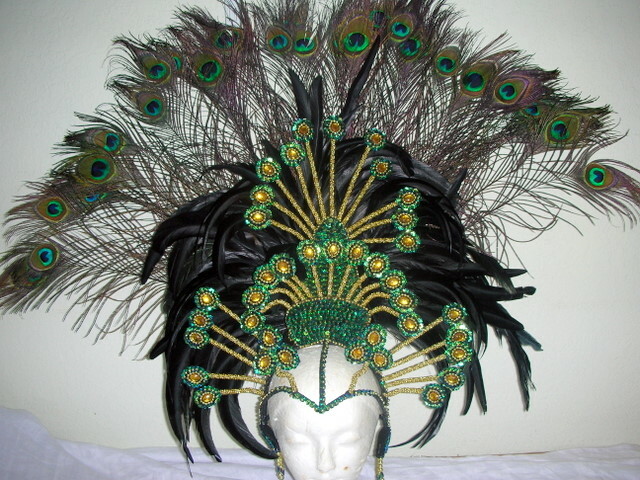 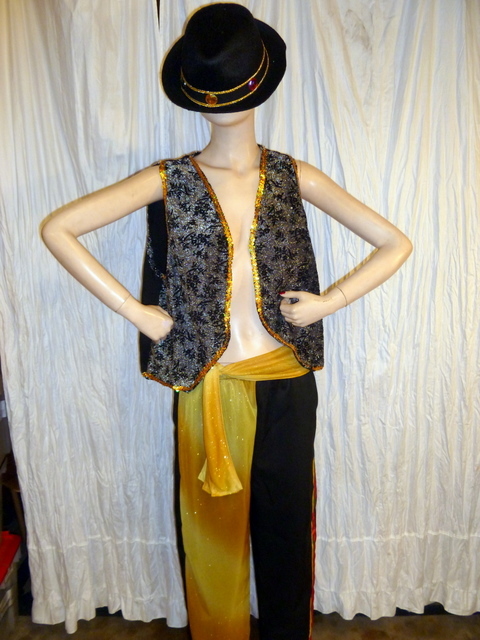 A very ornate and intricate headpiece and bikini set with lots of decoration.